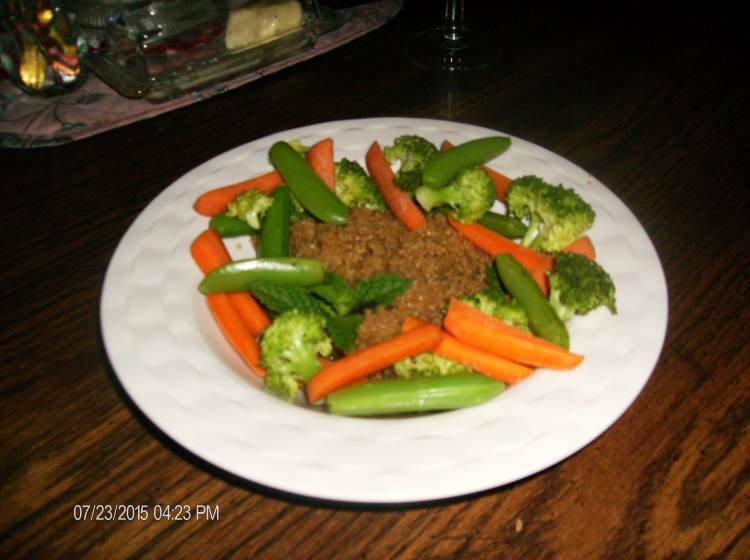 Long ago people used to have fermented food with every meal to aid in digestion. I remember having some of my much older relatives over for dinner and forgetting to serve some fermented food as one of the courses and inevitably one of them would pipe up and ask “Where’s the sours”? meaning the probiotic rich fermented food or condiment that would help their digestion and of course that “other” later part of digestion! Probiotics are not a new discovery, they’ve been a part of healthy eating since the beginning of time. We are now rediscovering what a huge benefit they are. I’m fortunate that I had family to teach me how to culture this type of food and how really easy it is. 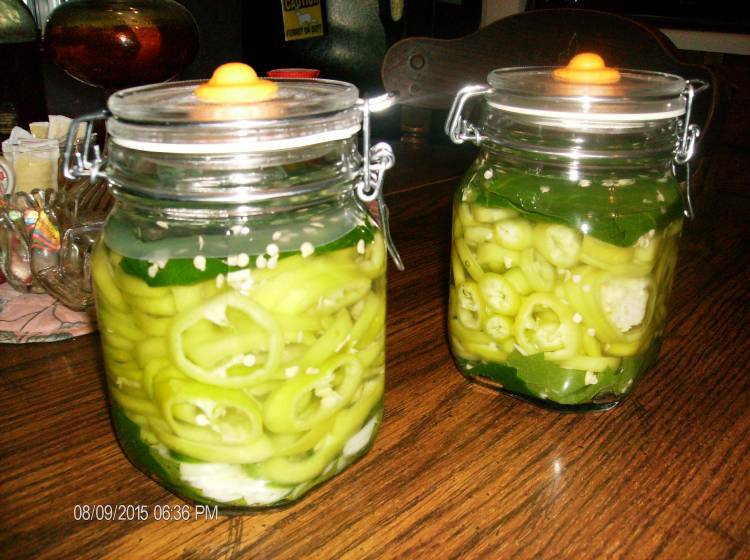 I like a little heat and zing so here is my recipe for Fermented Hot Banana Peppers but you can do the same with regular banana peppers or jalapenos or whatever your preference is. Fresh organic produce, cleanliness and patience are the 3 keys factors in successful fermentation. Produce that has been treated to have a “stay fresh” appearance in the produce section of the supermarkets do not ferment as well. This is the same reasoning behind using non-chlorinated water and unbleached flour. Chlorine kills the process because it kills yeasts, molds and bacteria, good and bad! 4-5 large ripe Hungarian Hot Was Banana Peppers (about a pound) sliced into desired size. You will need something to cover the top of the peppers to submerge them under the brine. I use Grape Leaves since I have grape vines and they are accessible. They also help keep pickles and peppers crisp. But you could also use carrots slices cut lengthwise the width of your jar and a weight to keep the peppers under the brine. Make sure all your hands, produce, utensils and jars and surfaces are clean. 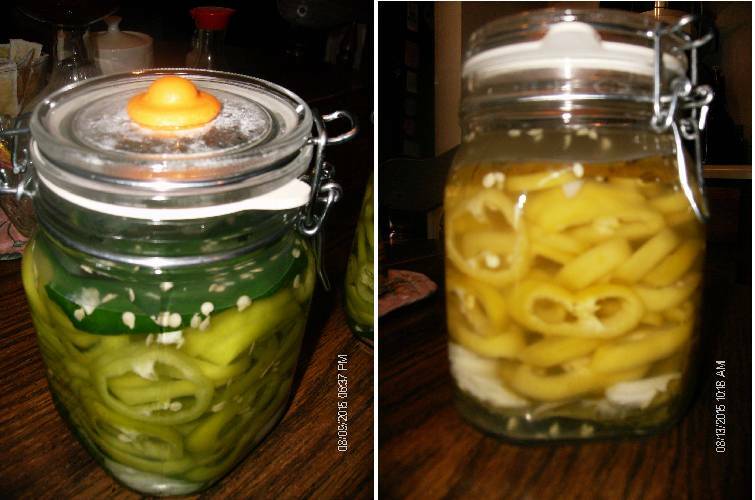 Layer in your jar, sliced onion, sliced jalapeno (if used), halved garlic cloves. Fill Jar to the “shoulder” with sliced banana peppers (allow room at the top so that there can be at least a ½ inch of brine over the peppers). Add Whey and water with dissolved salt. 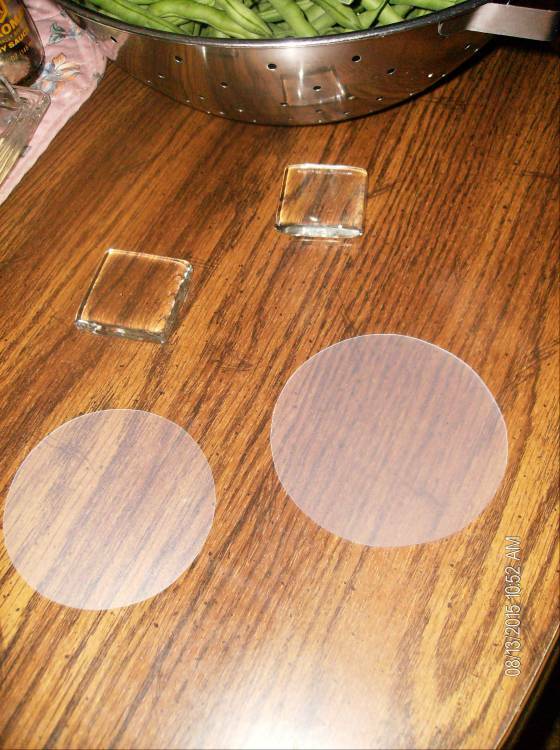 Fill with water to I inch from top of jar. Insert whatever you are using to submerge your peppers (these Fermenta Dunk Extenders are really nice and no fuss for keeping you stuff submerged below the brine). I put my grape leaves on top and add a Fermenta Dunk Weight. Then close your jar and and set it in a cool place away from drafts and direct sunlight until it reaches the desired tartness. I leave mine ferment for a few weeks. If you aren’t using a jar with an airlock, like the Fermenta Fido Airlock Jar 1 QT Jar, you will need to occasionally burb the jar to relieve pressure from the gases that will build up. Once you are happy with the flavor pop it into the fridge or other cool place. 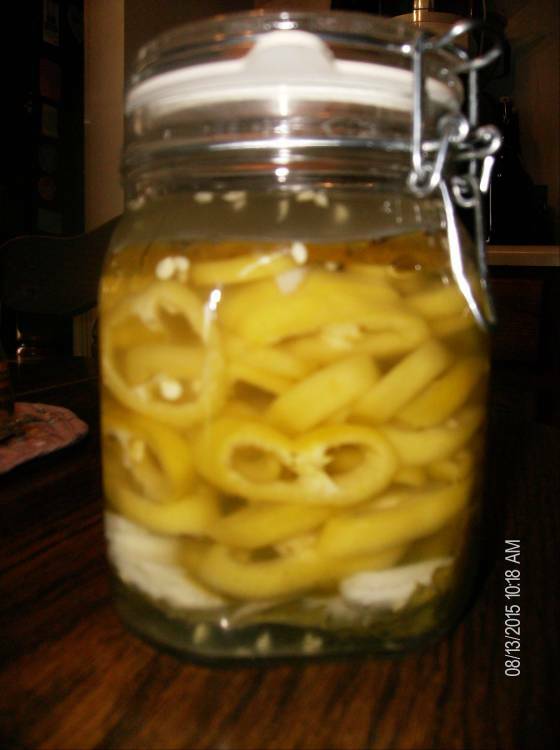 Posted on August 15, 2015 September 12, 2015 Categories Back To Basics, Fermenting, Gluten FreeTags Banana Peppers, fermented, Garlic, Grape Leaves, Hungarian Hot Wax Peppers, Jalapeno, organic, probiotic, Sea Salt, Sours, WheyLeave a comment on Where’s The Sours? 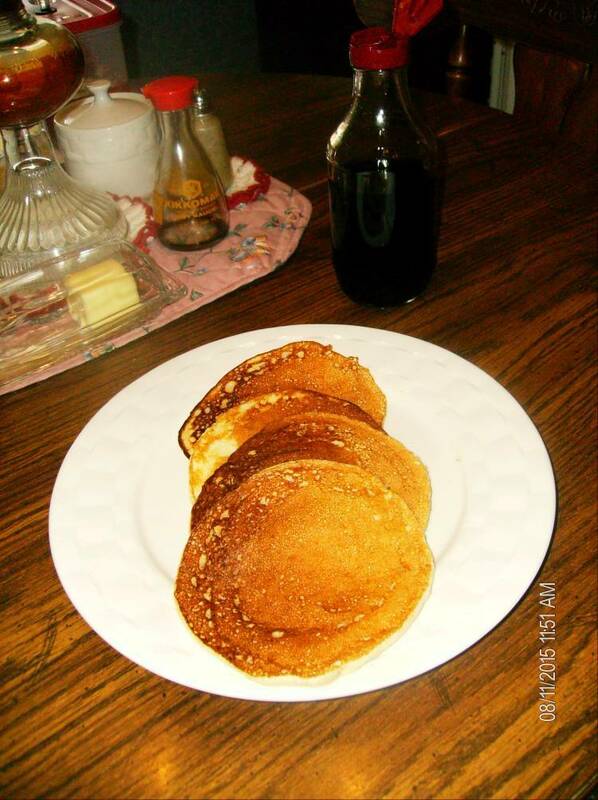 These pancakes had good flavor but were a little heavy and doughy in the center so I’ve added ½ teaspoon of baking soda and a little grape oil to lighten them up. The appearance and flavor of these are spot on but the texture could use some polishing. They are currently a work in progress. I’m still trying to figure out how to get the pancakes internal temperature to 210 degrees (as with gluten free bread) to set the gluten free flour and keep them fluffy and not doughy. My next step will be cooking them on the griddle and then putting them in a 220 degree oven for a bit. Adding a few fresh blueberries or pomegranate seeds could turn these into super pancakes. Feedback and suggestions are always welcome. Combine dry ingredients and wet ingredients and mix until well blended. 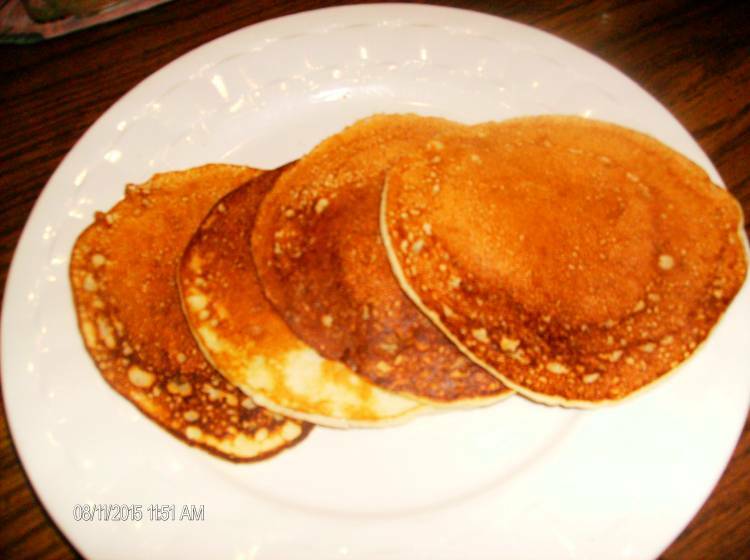 Cook by ¼ cup-fulls on well oiled, preheated griddle until golden brown then flip and cook until centers are cooked through. Serve with warn syrup and butter. YUM YUM!! !